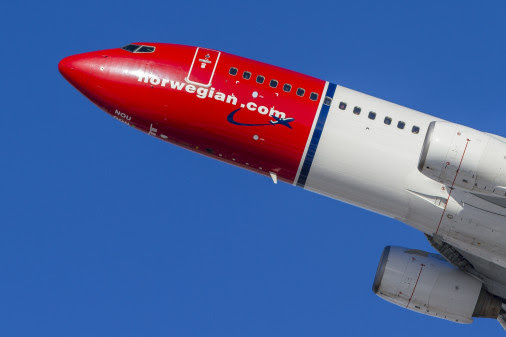 The low-cost airline that's turning heads all over Europe and North America, Norwegian, has revealed plans on how it is going to reward repeat flyers over the next couple of years. The low-cost airline that feels anything but a budget carrier is offering free upgrades and free flights if you are a regular flyer on their network. Plus the airline is offering some special discounted tickets from London to select USA destinations using a discount code at the end of this article. Yes, you did read that correctly, Norwegian will offer a free long-haul ticket and Premium upgrade next year to its most frequent flyers in 2018. The carrier is also offering discounted fares to consumers on select Florida routes from London Gatwick with a special discount code that can be used by Wednesday 4 July at www.norwegian.com/uk. Norwegian has grown to become the second largest long-haul airline at London Gatwick offering 13 long-haul routes with an average of 60 weekly departures to the USA, Argentina and Singapore. The airline’s award-winning loyalty scheme, Norwegian Reward, has amassed 1.1 million members in the UK. Members benefit from earning CashPoints when they book flights and purchase services from Reward’s growing number of UK partners which can be used to cover the cost of any Norwegian flight. Last year, Limited Edition Rewards first launched and gave Norwegian Reward members a free long-haul flight or an upgrade in 2018. This year, Norwegian and Norwegian Reward are giving customers the opportunity to benefit from free flights and extra comfort in 2019. To receive a free Premium upgrade, members must fly at least 10 round trips (20 one-way flights) on flexible tickets before the end of this year.The member’s Reward Number must be added to the booking and CashPoints can be claimed up to 30 days after departure. Premium is available on all 14 Norwegian long-haul routes from London-Gatwick and includes lounge access, fast track and more than a metre of legroom as part of a high quality upgraded service. The free upgrade can be redeemed by booking Norwegian’s lowest long-haul economy fares which start from £149.90 one way. The upgrade must be booked by 31 January 2019. To receive a free long-haul ticket, members must fly at least 20 round trips (40 one-way flights) and have earned at least 3000 CashPoints on flight tickets in 2018. Norwegian flies modern Boeing 787 Dreamliners on all long-haul routes to 11 US cities including Ft. Lauderdale (Miami), Orlando and Chicago and on the UK’s only low fare flights to South America and Asia. 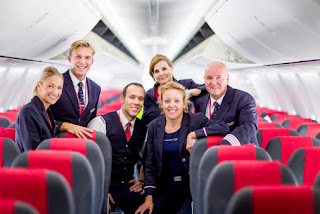 The free long-haul ticket is a round trip LowFare+ ticket to any of Norwegian’s destinations and includes seat reservation, meal service and a checked bag. Brede Huser, Managing Director at Norwegian Reward said: “Our most loyal customers can receive a free long-haul flight and upgrade to Premium as a thank you for regularly flying Norwegian. Norwegian Reward is also giving qualifying members the opportunity to combine the free long-haul ticket and Premium upgrade. Qualifying members may instead use the free long-haul ticket to fly any of Norwegian’s short-haul destinations. If a connecting flight is required to reach the desired destination, Norwegian will cover one connecting flight each way. 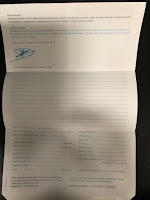 Customers can earn their way to Norwegian’s Limited Edition rewards on flights booked directly on Norwegian.com and through a travel agent when the Reward number is applied to the booking. Holidaymakers seeking a post-summer break in the Sunshine State can now book a discounted fare from London Gatwick to Fort Lauderdale (Miami) and Orlando using discount code: FLORIDAFALL18 by Wednesday 4 July 2018. The travel period is from September to October 2018, excluding weekends or public holidays, and flights are subject to availability. Norwegian Reward won ‘Programme of the Year Europe/Africa’ for the second consecutive year at the 2018 Freddie Awards which marks the most voted for airline loyalty programmes. Discussions are still ongoing regarding the sale of Norwegian to another European airline group, previously the airline has been in talks with Ryanair, British Airways owner IAG, Lufthansa, Air France and another low-cost carrier from Europe, believed to be Wizz Air.